Hot off the news that Meryl earned her (own) record-breaking 21st Academy Award nomination yesterday, HBO announced this afternoon that Streep would be joining the cast of their ratings and awards juggernaut, Big Little Lies for season 2. I'm dying. I absolutely LOVED this show. I watched the entire first installment, then intended to be a limited series, in a single day last summer and thought it was one of the best I'd ever seen. Now that they've picked it up for a second season, apparently the mother of abusive Perry Wright has been added into the mix, which is the role that Meryl is set to play. Interestingly, the character's name is Mary Louise, which happens to be Meryl's real name. From what I can gather, Mary Louise comes to Monterey looking for answers after her son's death. No doubt we'll get to see Meryl in some great scenes with Nicole Kidman. There's no official word yet on whether there will be any flashback scenes with Perry (played by Alexander Skarsgård), but I'll bet Skarsgård is hoping to high heaven there are, as he'd get to share the screen with the queen. I'm not sure when filming is set to begin, but I imagine sometime this spring or summer. The second season will air sometime in 2019. Curious to see if we get any updates on The Nix as well. If so, it could be quite the couple of years at the Emmys. Academy Award nominations will of course be announced tomorrow morning, and Meryl is in the running for her 21st nod. Only a year ago at this time, she had no definitive projects in the pipeline for 2017 until it was announced in March that Steven Spielberg would direct her in The Post. The film is currently in its second week in wide release, and is already up to $45 million domestically. Were it to snag a few Oscar noms, it would be a helpful little marketing tool. So what do we think the likelihood of Meryl getting nominated is? To the casual observer, it seems like a foregone conclusion: prominent director, biopic, captures political zeitgeist, best reviews Meryl's received for a lead role since The Iron Lady, 88% on Rotten Tomatoes/Metacritic score of 83, promising box office. Streep has gotten in for a lot less. How could she possibly miss this year? One of the reasons it may be tough is the fact that there are so many wonderful performances this year in equally wonderful films. Frances McDormand, Sally Hawkins, Saoirse Ronan, Jessica Chastain, Margot Robbie, Judi Dench, Annette Bening, Michelle Williams. 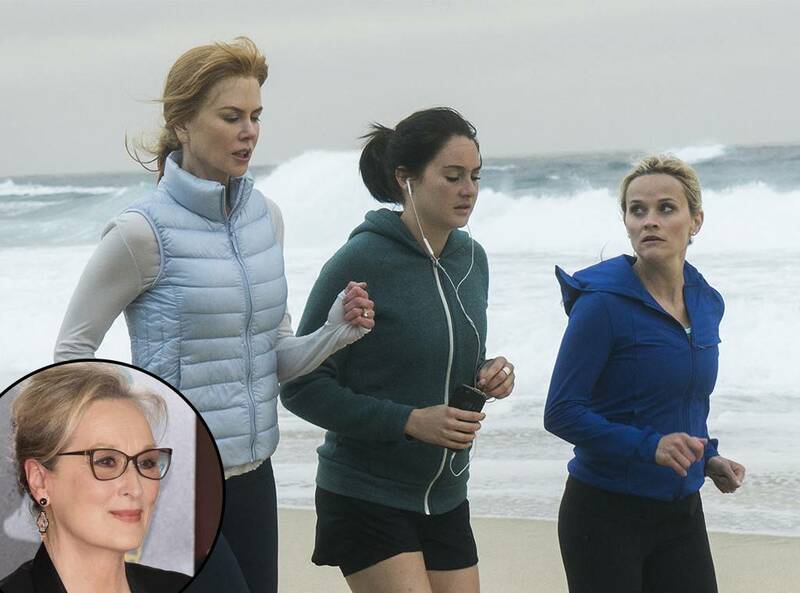 There's a lot of competition and Meryl isn't exactly the fresh new face on the scene. Another reason is that she's been relatively absent from recognition among most critics groups this season. Yes, she received the National Board of Review Award, but other prominent voting bodies have rarely even included her among their top five. Not that this has necessarily stopped her before, just see Into the Woods and August: Osage County. Most pundits I've read have Meryl predicted in their top five, but generally toward the bottom of the list. Regardless of whether or not Meryl is nominated or snubbed, her performance as Katharine Graham is exquisite and will be remembered as one of her finest. Although Meryl (and The Post) were completely shut out for SAG nominations this year, I'm still going to post my predictions in the film acting categories. One of the joys of this year's race is how competitive each category is, as there are multiple "frontrunners," but the certainty of any one win is less secure than an year in recent memory. If my predictions turn out right, Three Billboards will position itself as the strong frontrunner in several Oscar categories, including Best Picture. Academy Award nominations are announced Tuesday starting at 8:22 EST. It's really difficult to call winter my least favorite season, because it includes possibly my favorite period of the year: awards season! Tomorrow night, the Hollywood Foreign Press will hand out their Golden Globe Awards for achievement in film and television. As usual, I enjoy predicting the winners in the acting categories. Check out the starred(*) names below among the nominees for my winners selections. In my opinion, this is by far the best chance Meryl has at picking up a major televised award this year. The Post was completely shut out at SAG, and it's not even a foregone conclusion that she will get an Oscar nomination. But the HFPA love her, and if she were to come away with a win in this category tomorrow, I'll relax a little in regard to her chances for a nom. Let's not forget her speech last year at the ceremony (see clip below)? She is in a film about the importance of a free press, and they might want to reward her. For the other categories, I would not be surprised is Frances McDormand, James Franco or Christopher Plummer won. I think the entire rest of the season for Supporting Actress will come down to Metcalf and Janney (with Metcalf likely taking Oscar). I'm probably out on a limb a bit with Daniel Kaluuya, but right now it just sort of feels right. I'd love to see Timothée Chalamet make the upset, and I think Margot Robbie is a distant second behind Saoirse Ronan. I can remember reading the script about a year ago and specifically thinking about this scene, where Meryl's character Katharine Graham sort of tussles with her editor Ben Bradlee. The two bicker about the style section of the paper and, as they discuss in the video, at times it seems more like Bradlee is Graham's boss, not the other way around. It sort of sets the stage for a transformation that I'm sure Meryl negotiates wonderfully as the film progresses. Getting excited for this and the Golden Globes Sunday!